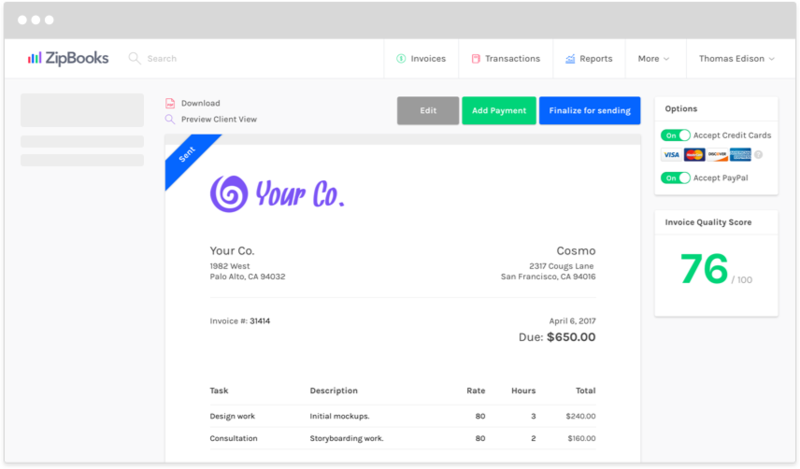 When you create invoices for customers, you may frequently use the same line items over and over again. ZipBooks lets you store those things as saved items. Whether you offer certain types of paint, a carpet cleaning service, or specialized computer repair, saving items makes invoicing a snap. Save a new line item right from the invoice you're creating, and spend less time looking up prices, rates, or complicated product numbers before adding them. Enter the information once, and it'll be there every time you need it.